We’re proud to say that our software is designed by machinists for machinists. Many of our software engineers began their careers in machine shops – programming, setting up, and running CNC machines. This unparalleled understanding of the industry allows us to design effective solutions for every day shop challenges. Keeping a pulse on industry trends allows us to identify, develop, and market advanced CAD-CAM solutions, support, and training products to engineers and manufacturers all over the world. The modular design of our software uniquely positions us to provide powerful and affordable solutions to everyone from hobbyists and home shop machinists to fabrication shops and global manufacturers. We’re continuously evolving and adapting technology to make it easier to use and more efficient. Advanced features like Dynamic Machining Stategies™ and the Wizard Driven Interface, among others, have helped countless machinists expand their production power and drive business growth. Our focus has been and always will be finding new ways to help shops increase manufacturing capabilities and overall innovation power. What About Support & Training? We spend a great deal of resources, time and energy ensuring that our customers receive the technical support services they expect. Right from the beginning our customer service representatives are proactive in helping customers get started. After you are satisfied with your initial experience and are achieving success, we follow up with a wide variety of extended support products and provide training opportunities that turn new customers into technology professionals. 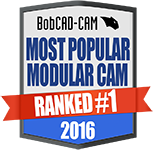 That’s right, expert CAD/CAM operators. Operator certification can be achieved by attending a training seminar or through our online certification programs. We fully support education through our Manufacturers of The Future programs. The all new Manufacturers of The Future campaign for schools, teachers and students everywhere focuses on providing teachers and students with the latest in CAD Design and CAM machining software technology at costs that tight budgets can afford. This program includes special pricing that works for schools as well as for students that want a powerful CAD/CAM solution as they enter the work force. Our class-lab software packages include training tutorials and video instructional materials that are aimed at creating professionals with the skills required to enter the manufacturing industry successfully. We understand that CNC shops are always looking to gain an edge against the competition and need solutions. Because of this we have written a series of CAD-CAM discovery whitepapers that are specifically created to educate and provide proven solutions to accelerating workflow efficiency in CNC machining. 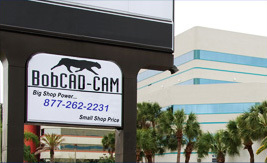 More specifically, CAD-CAM CNC Software and how your shop can benefit from it.